Managing NTFS permissions on file server folders may be quite tiresome. Inaccurate changes to the top (root) level of the directory may lead to unexpected results when individual permissions on lower-level files and directories are forcefully changed. Prior to significant change of permissions (moving, ACL update, resource migration) on an NTFS folder (Shared Folder), it is recommended to back up earlier permissions that will allow you to return to the original settings or at least see the previous access permissions to the specific file or folder. 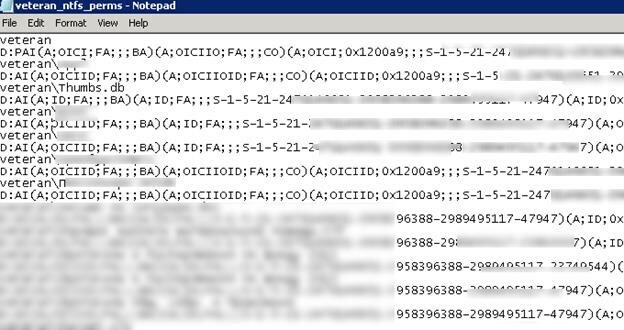 To export/import current NTFS directory permissions, you can use built in utility icacls. This tool enables to get and change access control lists (ACLs) of file system objects. The file containing access permissions is saved by default to the current user folder. Note. /t key is used to get ACLs for all subdirectories and files, /c allows to ignore access errors. By adding /q key, you can disable the display of information about successful access to the file system objects. Depending on the number of files and folders, the export of permissions can take quite a long time. After the command has been executed, the statistics on the number of successful or failed processing of files will be displayed. 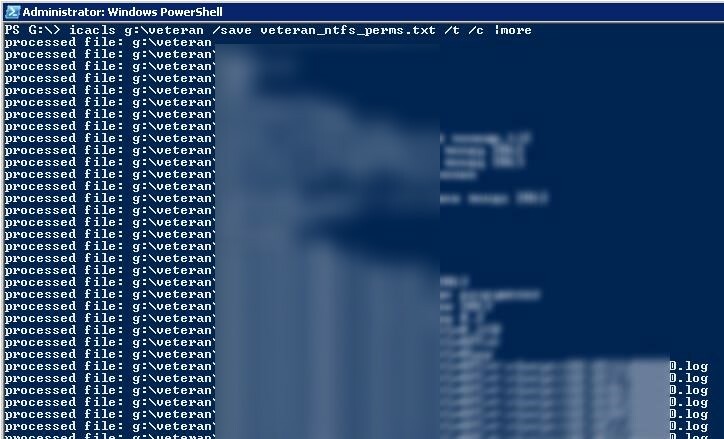 Open the file veteran_ntfs_perms.txt using any text editor. As you can see, it contains the full list of files and folders in a directory, and each item has the current permissions specified in SDDL (Security Descriptor Definition Language) format. Thus, you have found that the user corp\dtrump had Full Control permissions on this directory. Note. Please, note that when importing permissions from the file, you should specify the path to the parent directory instead of the folder name. After all permissions have been recovered, the statistics on the number of the processed files will also be displayed. This is very helpful. If I make a duplicate of the g:\veteran onto a new drive, say e:\veteran, and mess up my permissions on the e:\veteran version, is it possible to use the g:\veteran backup to restore on e:\veteran? Do I need to do something to change the ACL file to point to the new location and restore permissions there? Yes you can. 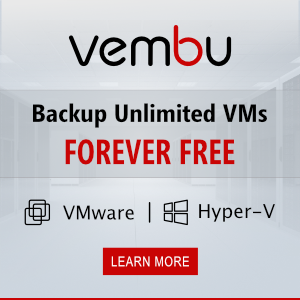 You need to manually edit the file veteran_ntfs_perms.txt in any text editor find and replace the path g:\ to e:\.